These days people are holding on to their cars for longer. As a result it’s even more important they are looked after properly and when buying a new car, treating it correctly right from the start is absolutely imperative for preserving that all important resale value! The well-respected Parkers Guide highlights this very clearly, giving used car valuations for each vehicle in ‘good’ condition and ‘poor’ condition. 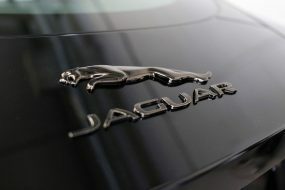 The difference between these prices can range from a couple of thousand pounds for the smaller car to tens of thousands of pounds for executive and sports cars. 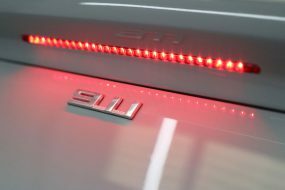 Just look what they say about the Audi V10 R8. 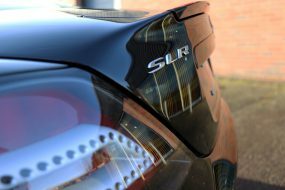 A New Car Protection Treatment is designed to give a new car the best possible start, protecting the paintwork from everyday environmental and industrial fallout and giving the owner peace of mind that they’re doing everything possible to retain the look and consequently, the value of the car. Treating a car from brand new is far more cost effective than having the paint protected several thousand miles later when inevitably the damage has already been done. This week a long standing customer and repeat visitor to the Ultimate Detailing Studio brought in his brand new 2013 Audi R8 Spyder V10 5.2 FSi Quattro for a New Car Protection Treatment. A highly sought after supercar with an engine capable of 0-60 in 3.8 seconds, the R8 V10 Spyder was recently seen on the latest Top Gear (Sunday 14th June, Season 20, Episode 3) keeping company with a Ferrari 458 Spider and a McLaren 12C Spider on a tour of Southern Spain. Not surprisingly our customer was very excited about his new pride and joy and having brought in two cars previously for a Gloss Enhancement Treatment, fully understood the value of getting this one protected right from the word go. 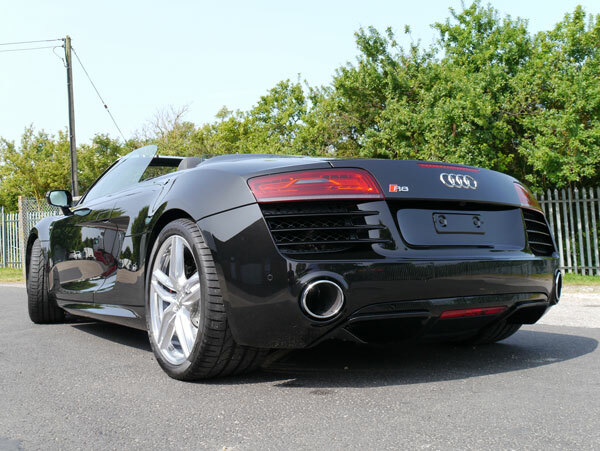 As always we asked that the R8 be dropped off unwashed and unprepared by the dealership. 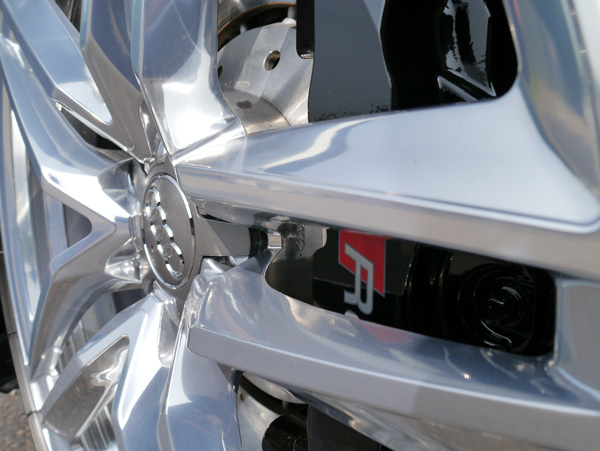 Initially the wheels were treated with Bilt-Hamber Korrosol to remove any bonded metal filings. 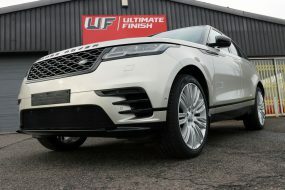 The bodywork, wheels, bonnet, boot and door shuts were degreased using Bilt-Hamber Surfex HD and then treated with Valet Pro Tar & Glue Remover, ensuring the safe removal of any last traces of ‘body wax’, the factory-applied protection wax applied to bodywork to protect it during transportation from the factory to the dealership. The car was then pre-washed using Ultimate Snow Foam before the main wash process began, using separate wash mitts for the bodywork and for the wheels. 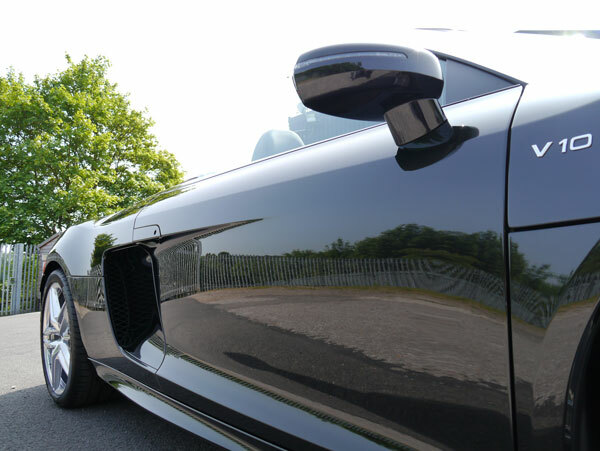 With the car now completely clean and dry, it was clayed using Bilt-Hamber Auto-Clay Soft to remove any trace of bonded contaminants that may have escaped all other treatments. Then the bodywork was gently refined by hand using SCHOLL Concepts S40 Anti-Swirl Compound. 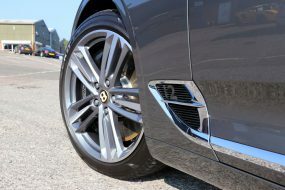 One coat of Nanolex protects the paintwork and the alloy wheels from contamination build up, encouraging water and dirt to sheet away from the treated surfaces. 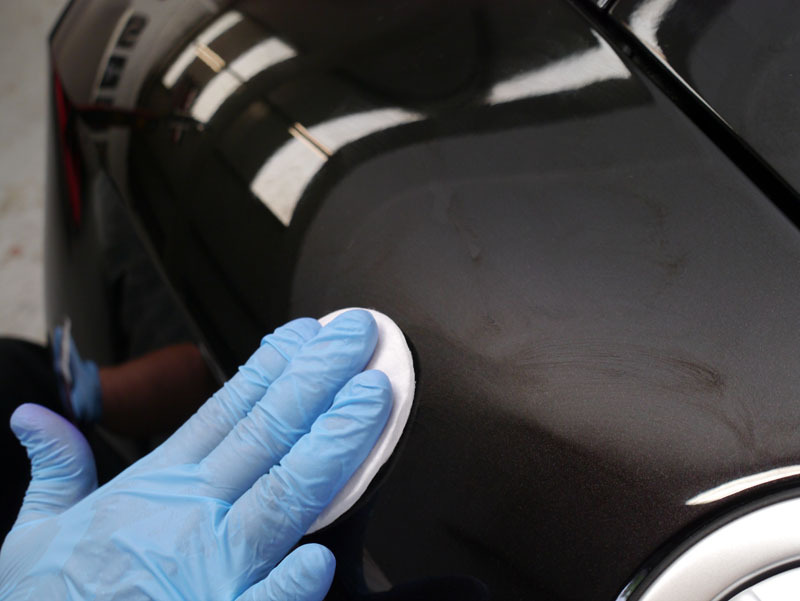 Whilst the sealant was curing the glass was polished with Nanolex Premium Glass Polish which uses micro-abrasives and citric acids to polish and cleanse glass, then sealed with Nanolex Ultra Glass Sealant. Ultra Glass Sealant, developed with and tested by Motorsport Team Hohaus in the German endurance road cup at the Nürburgring, forms a highly water-repellent surface which encourages rain water, dirt and grime to bead off the window. The exhaust tips were cleaned with Gtechniq M1 All Metal Polish, a fine grade metal cleaner that brings a fantastic lustre to metalwork. To complete the look the tyres were dressed with Gtechniq T1 Tyre n Trim to give them a natural satin sheen. When the customer collected the car he was extremely impressed, very pleased he could drive off to The Goodwood Festival of Speed and show off his R8 to the maximum. And according to Parkers Guide, he may very well have just saved himself £12000 on the resale value! !